“Fancy Free” (performed here in 2012) will be on an all-Bernstein program Aug. 18 at Tanglewood. Boston Ballet’s 2018-19 season will be headed by two familiar story ballets, George Balanchine’s “Coppélia” and Frederick Ashton’s “Cinderella,” plus a centennial tribute to Leonard Bernstein and Jerome Robbins, both of whom were born in 1918. There’ll also be a William Forsythe program to include a world premiere and a repertory program featuring Balanchine’s “Tchaikovsky Piano Concerto No. 2,” and a world premiere by company principal Paulo Arrais. Before the season officially opens, however, Boston Ballet will be dancing with two distinguished orchestras. On June 8, on a program called “Foreign Bodies” at Lincoln Center, the company will perform Wayne McGregor’s “Obsidian Tear” with Esa-Pekka Salonen and the New York Philharmonic. Then on Aug. 18 at Tanglewood, the company will dance Robbins’s “Fancy Free” on an all-Bernstein program with Andris Nelsons and the Boston Symphony Orchestra. The season itself opens with the all-Robbins program “Genius at Play” (Sept. 6-16). Set to Morton Gould’s 1943 piano concerto “American Concertette,” “Interplay” (1945) is a jazzy, bluesy romp for four men and four pony-tailed women. Boston Ballet hasn’t presented it since 2001; the company’s artistic director, Mikko Nissinen, says he thought “it would be nice to see a whole different generation” do the piece. 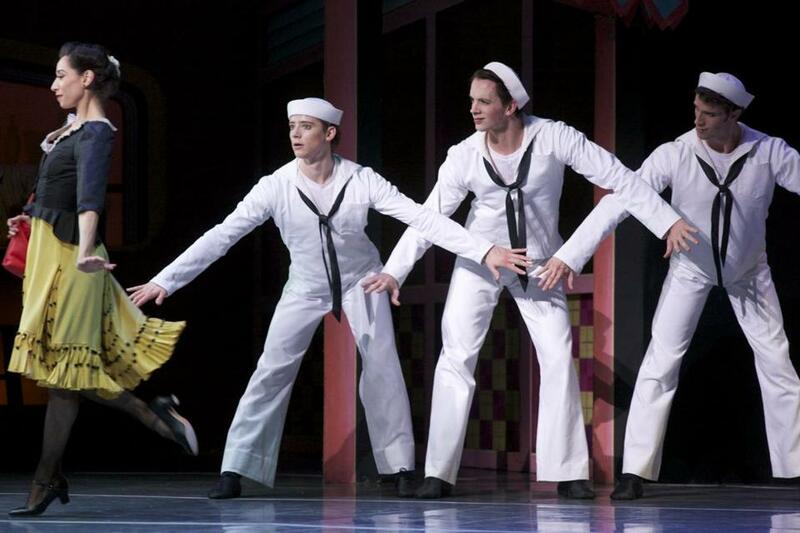 “Fancy Free” (1944) is the sailors-on-liberty ballet that Bernstein and Robbins created when they were just 25; Boston Ballet previously did it in 2012. To fill out the program, Nissinen chose “Glass Pieces” (1983), which he describes as “mesmerizing” and “a little different” from Robbins’s early work. “Genius at Play” will also have an opener from the Boston Ballet Orchestra, Bernstein’s “Candide” Overture. After “The Nutcracker” (Nov. 29-Dec. 30), the spring season begins with “Full on Forsythe” (March 7-17). Regarding the world premiere, Nissinen says that he and Forsythe have been talking about the music but “Bill hasn’t made a final choice.” Boston Ballet will also be presenting the North American premiere of “Blake Works I,” which Forsythe set to English songwriter James Blake’s 2016 album, “The Colour in Anything.” Nissinen, who attended this piece’s world premiere at the Paris Opera Ballet in 2016, feels that Forsythe has found “an incredibly beautiful way to do a ballet” to Blake’s music. The third work on the program, “Artifact Suite,” Nissinen describes as “sort of the dance bits,” without the speaking characters, from “Artifact,” which the company presented last year. The season will conclude with “Rhapsody” (May 16-June 9). Nissinen says he’s been looking for someone to set George Gershwin’s “Rhapsody in Blue,” and he believes that Arrais, whom he’s been grooming as a choreographer, “has a pretty brilliant take on the project.” Titled “ELA, Rhapsody in Blue,” Arrais’s premiere calls for one woman and 15 men. “ELA” — “she” in his native Portuguese — refers to the female. The company hasn’t done “Tchaikovsky Piano Concerto No. 2” since 1994. The ballet will be presented, as it was then, in Balanchine’s revised version of 1973, with the female dancers in knee-length chiffon skirts rather than tutus. Rounding out the program will be “Yakobson Miniatures,” a trio of works by Leonid Yakobson. Boston Ballet presented “Pas de Quatre” at the Opera House in 2016 and “Rodin” in its BB@home series in 2015, but “Vestris,” which Yakobson choreographed for Mikhail Baryshnikov, is new to the company.